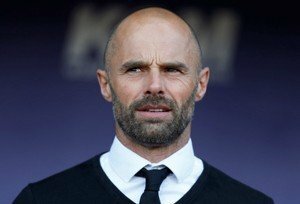 Rotherham United Manager Paul Warne told Radio Sheffield that today’s result was difficult to take. ‘I thought we deserved a point today,’ the Millers Boss said. And I’m with him all the way there. I don’t remember Marek Rodak having to make many saves in the game and, maybe this might just be me, but I’m not sure that the penalty wasn’t their first shot on goal all game. That saying, did we do enough to take all three points? Probably not. I actually think nil-nil would have been a fair result. ‘If we come away from home and play like that then we will pick up points,’ Warney said. Yes, we will – if we perform like that for ninety minutes plus in every away game and we score some of the chances we have. Like Tuesday night there were chances this afternoon at the City Ground. I’m not sure what the players were doing or what they’d been instructed to do in the first half but, I’m afraid, in this league when you get that opportunity to shoot you have to do it. We definitely had chances to do that particularly in those first forty-five minutes but either we panicked (and I hope that isn’t the case), we froze or for some reason they thought passing from one to another to another was going to get the ball into the net. It doesn’t work like that lads. All that does is get the opposition defenders back to do their job. At least three times I was shouting for them to ‘shooooot’ and if they had done it might have come off the ‘keeper, come off someone’s backside and gone in or gone in via the post – they all count. I also think we need to practice our passing. Not sure if they thought we were playing in red today but the times a pass went to a player in a red shirt I lost count of. It was better in the second half. We did have a few shots from outside the area. OK, I admit we didn’t score but we tried. Warney was asked if he thought the Forest player Adlene Gurdioura should have got a second yellow and gone for an early bath with the Millers Boss saying that people could watch the hi-lights of the game and make up their own mind saying, ‘I’ll keep my opinion to myself’. Well I won’t. And I’ll answer the question. Yes he should have got a second yellow. He got a yellow in the first half and did exactly the same thing in the second half but only got spoken too. Officials have to be consistent. I’d like to bet if he’d not already been booked the yellow would have come out of Mr Jones’ pocket. Not that I’m saying it would have made a difference but there are game changers matches and this could well have been one.